The UBC Yoga Club has now partnered with MindBody to deliver online payments to our members! Get all our classes on an app for your phone and pre-pay online by following this link . For our members, we have a 10 class pass (get your 11th class free) for $20! All UBC Yoga Clubs Classes take place here on campus! It’s perfect for all us students, staff and close community members. If you are confused about where a particular class is held, this page here is to help you find the building and the room. Most classes are held in the New Student Union Building or the NEST. 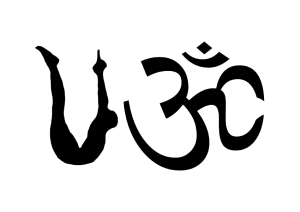 They have a great number of rooms that are perfect for our different types of yoga classes. 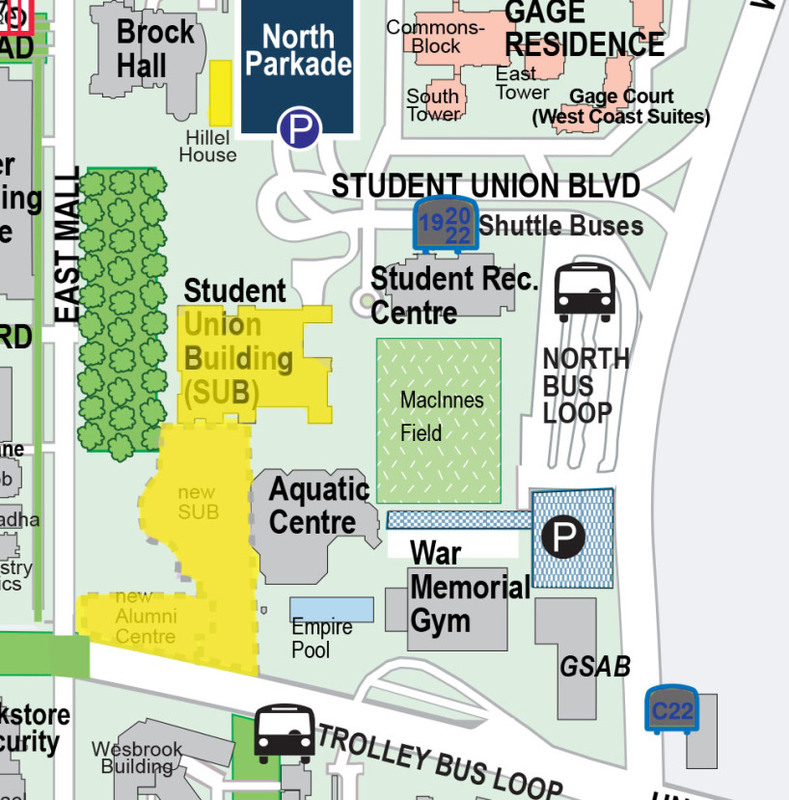 The NEST is located right near the Bus Loop and UBC BookStore. The Old Sub is right behind the NEST, and there is a floor plan on this page to help find those tricky rooms. Hillel House is the beautiful building that our Hatha Flow classes on Mondays take place in, if you are ever confused on how to get there if you leave the Old Sub and walk towards the North Parkade and Brock Hall right between those two buildings is a slender white building. Below is a video on how to get to LIFE 5 and LIFE 26. Everytime I go on the calendar on my iPhone it won’t let me view the location when I click on the individual slots and the calendar starts to physically expand. Please fix this bug and make it available to iPhone/apple users! Thanks. Hello Diana! I will try to fix the problem, however I have an iPhone and I am able to see the location on my phone. In the meantime I suggest following the UBC Yoga Page on Facebook or downloading the google calendar schedule to your phone. Hi, are there no classes during the summer semester? Hey Diana! There are indeed classes throughout the summer. We’re offering one a day and they’re listed on the calendar. Hope your summer’s been beautiful! Hi, if i want to sign up for a class i can just go to the class and do the registeration right? Hi there! To join a class all you need to do is pay the $10 membership fee and then each class you go to you pay the $2 drop in fee! You pay for the membership fee and the class fee right there at the beginning of the class! s/o to our February giveaway winner, Lauren!! Thanks for coming to so many classes! Enjoy your new @shophalfmoon gear!! Just in case you were wondering... MARCH GIVEAWAYS are courtesy of @shophalfmoon & Urbanity !! Each class is one entry!